Renowned DoP, Alister Chapman, who has been doing amazing work reviewing professional video equipment over at xdcam-user.com for the past few years, shares his experience using the new UWP-D range of radio mics and how the clever new features combine together into an even smaller and neater package, giving improved dynamic range and natural sounding audio, even in remote locations. 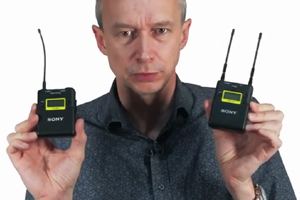 This entry was posted in Audio, News and tagged wireless radio mics, sony audio, Sony wireless audio, Sony UWP-D11, Audio on 16th January 2015 by viblog. 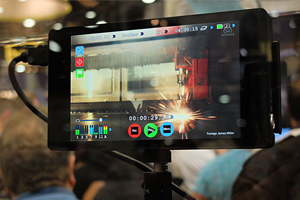 Fresh off the heels of the release of their latest flagship Monitor/Recorder – the Odyssey7Q+, Convergent Design have some great news for cinematographers looking to bulletproof their footage with high-quality ProRes and Raw recoding in 2K and even 4K. 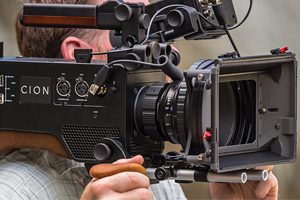 This entry was posted in Post Production, Cameras, News and tagged 4K Recorder, Odyssey7Q+ Free SSDs, Convergent Design Odyssey7Q+, Odyssey7QPlus, Convergent Design on 15th January 2015 by viblog. After months of hard work by the engineering team at AJA doing their best to get the camera finalised and ready for production, the wait is finally over as AJA recently announced that the camera is ready and is now shipping globally. 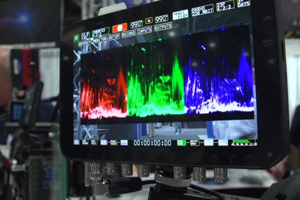 This entry was posted in Cameras, News and tagged Aja Cion Shipping, Aja Cion 4K Camera, AJA, AJA Cion on 14th January 2015 by viblog. The latest addition to the Canon Cine Zoom range – the mighty and unprecedented CN20x 50 IAS H E1/P1 is a superb lens that’s designed for broadcast use with Super35mm cameras – whether HD, UHD or 4K. It has unprecedented quality in a range, size and weight currently unmatched on the market. This entry was posted in Lenses, News and tagged Canon Cine Lenses, Canon EOS C500, CN20x 50 IAS H E1/P1, Canon CN20x, Canon Professional, Canon Cine Zoom, Canon on 13th January 2015 by viblog. The Atomos Shogun is the perfect companion to the Panasonic GH4, which already shoots 4K internally on SDXC cards, however for those wanting to upgrade their footage to a 10bit 422 chroma sampling – the Atomos Shogun will provide such recording capabilities via HDMI. The Sony A7s with its full frame super-sensitive sensor can currently record 1080p internally, however the Shogun can unlock the true potential of this phenomenal camera giving it the 4K (UHD) treatment. This entry was posted in Post Production, Cameras, News and tagged GH4, Sony A7s, Atomos Shogun 4K, Atomos 4K recorder, Atomos Shogun on 12th January 2015 by viblog.